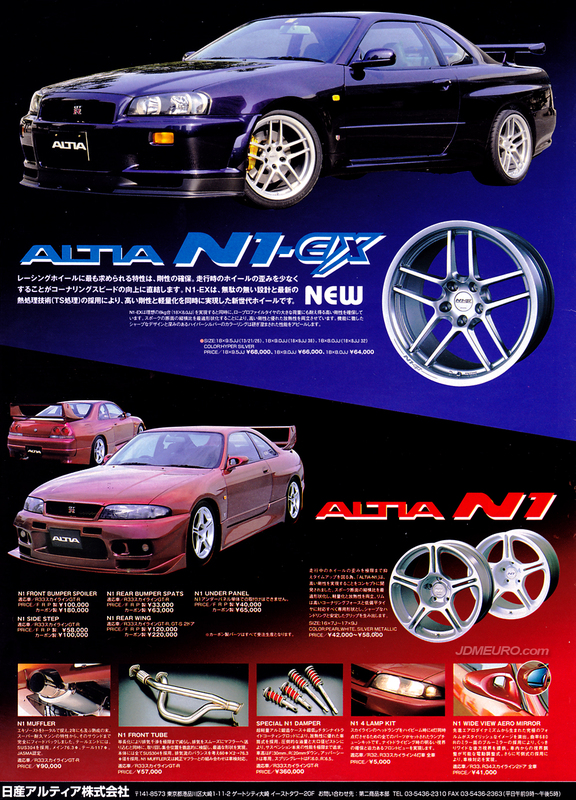 The Altia N1 & Altia N1-EX are Jone piece JDM Wheels with a 5 spoke design. The Altia N1-EX were only available in 18″ diameters up to 9.5″ width and feature more lip than the Altia N1. The Altia N1 have spokes that go all the way to the edge of the lip and also a deeper cup like center lug section but were only offered in 16″ & 17″ diameters up to 9″ width. Pictured are the on a Nissan Skyline GTR R34 and the Altia N1 Nissan Skyline GTR R33.